* Les heures indiquées sont les heures locales, à moins d'indications contraires. Had a storage unit here great service, great people to deal with. This location is very clean and well organized. They answered all of my concerns. They are so efficient and polite, professional and very personable!!! From my first initial phone call to reservations then to the viewing of the storage area and sign, I was very impressed!!! Thank you for your incredible customer service. Sentinel Storage in .Bedford is perfect for our needs. Bernie has been very accommodating, the staff are pleasant. The compartment has an easy drive up access and is very clean. We are lucky to have found them. When you think of a storage facility your first thought is generally not customer service. It my first thought when I think of Sentinel Storage in Bedford. Bernie and Heather are so wonderful to deal with!! They are polite and go out of their way ensure that you have an excellent experience. The facility is spotless and so well care for, the security access system is easy to use and extremely effective. Being able to access my lockers 24-7 is very convenient. Easy moving and storage solution! Great customer service! Facility appears clean, new, and secure. Convenient moving truck provided at excellent rate. Good and secure location, reasonable prices! On Friday September 25th I started to make calls looking for space to store some fixtures and merchandise. I called 5 places in the Annapolis Valley to only get an answer service and I left a message for each one. I actually never did get a call back from any one of them. One place in Hansport did answer the phone and explained that he was full, one might be leaving on the weekend and he could phone me on Monday if the space became available. I really required the storage space so I googled Sentinel Storage, I drive by there every day heading to the Valley. The Young lady that answered the phone was very helpful and explained that there was plenty of space and if I came there she would show me the units. I loaded my truck and was there within an hour and one half. She again explained the pricing and showed me the spaces. I paid for the first month and was on my way within 30 minutes feeling like I had made the correct decision. They have 24/7 access and all the tools needed to make your experience a great one. The staff are very helpful and friendly. The storage area is clean and easily accessible. The 18 wheeler moving van was able to move around the storage yard easily. 24 hour access is great. Sentinel is the only heated storage unit I could find in the Bedford area. The location is very accessible and the staff are always very friendly and helpful. They really helped us (Building Futures) out on short notice after we had a roof collapse. Great place with awesome rates! Great staff. Good experience. Happy with using Sentinel Storage. Thank you. I have been there for over a year now and have always found the staff very friendly and helpful. I have recommended their location to others. 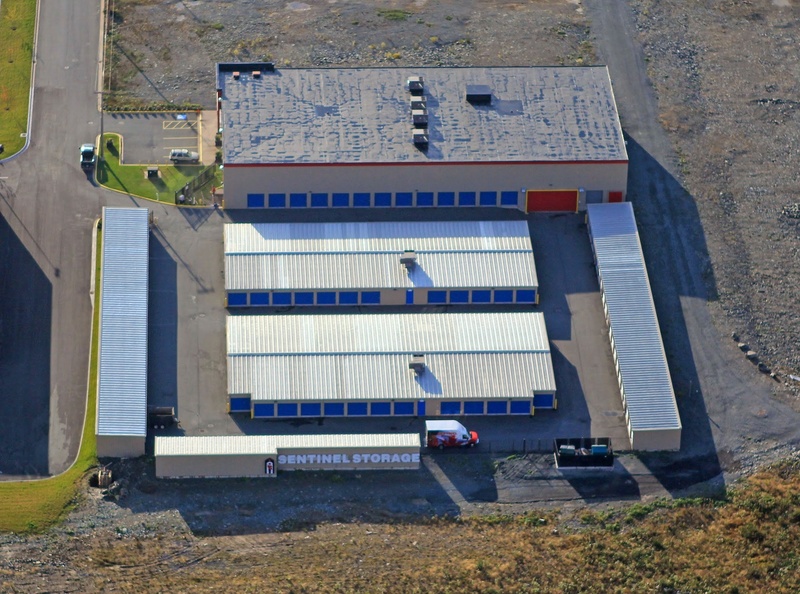 Sentinel Storage Halifax (Bedford) offers everything you need for self storage. Reasonable prices, boxes and packing material. They offer a courtesy truck, 24 hour access, friendly staff and clean easily accessed space. What more can you ask for? Thanks for all of your help! We have had a unit at this facility for an extended period of time. The staff is always very helpful ,the facilities are clean and I would recommend it to anyone. Storing with this company at this particular location has been a real pleasure. The staff are positive and upbeat. They make every effort to ensure things go smoothly on moving days. The addition of a cube van, that is exceptionally reasonably priced, really takes Sentinel beyond its competitors. Easy access. Clean. Friendly, helpful staff onsite and in office. Storing here is very convenient for us and it's always so clean and well-kept. Love having access to a truck if we need to. Staff have been very helpful and friendly. Location is very accessible and staff always very friendly and helpful. Space is very clean. We feel our belongings are safe and well cared for even though they are away from our home. Thank you! Clean and the people are nice. Great service, always a discount or promotion. The moving truck is a huge asset as well. I will definitely stay with this company in the future and recommend to others! Alicia was most helpful to me today re: my monthly billing, thank you!